**SUPERBLY presented 3 BED bay fronted semi detached property constructed in 2009 to a high specification in this small private and EXCLUSIVE modern development. Ensuite to master bedroom. Family bathroom.Sitting room.Kitchen/dining room.Downstairs cloakroom.Garage.Driveway.Gardens. AVAILABLE NOW. Spacious four Bedroom family home located in this cul de sac situation and convenient for local shops, schools, and amenities. Lounge. Kitchen Dining Room. Utility Area. First floor Bathroom. Double glazing. Gas heating to radiators. Garden. 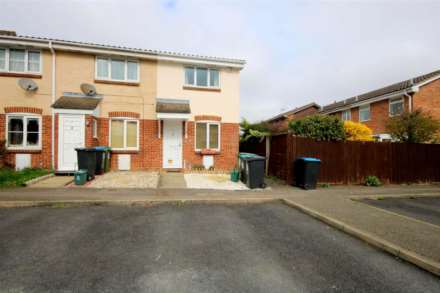 Superbly presented 1 bedroom end of terrace home. Convenient for loacl amenities and mainline station. Lounge/Dining room. Fitted Kitchen. First floor Shower Room. Double glazing. Gas heating to radiators. Garden. Allocated parking. Unfurnished and available now.